This conference on Catalysis was held under the auspices ofthe NATO Science Committee as part of its continuing effort to promote the useful progress of science through international cooperation. The Science Committee Conferences are deliberately designed and struc- tured to focus expert attention on what is not known, rather than what is known. The participants are carefully selected to bring together a variety of complementary viewpoints. Through intensive group discussion, they seek to reach agreement on conclusions and recommendations for future research which will be of value to the scientific community. We believe that the endeavour has been particularly successful in the pre- sent case. 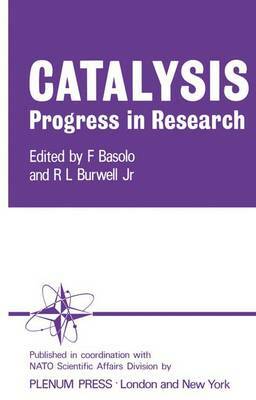 Some twenty-five papers, either in the form of reprints or specially written reviews were contributed by the participants for advance circulation, to outline the state-of-the art in the three areas ofheterogeneous, homogeneous and metalloenzyme catalysis and to focus attention on key problems. The availability of this background material precluded the need for lengthy intro- ductory presentations and permitted rapid initiation of interdisciplinary discussions. All participants gave generously and enthusiastically of their expertise and effort during the week of the meeting, of ten long past normal bedtime hours, and we extend to them our deep gratitude.